Thick skinned. The opposing side will attempt to paint one as unqualified or inconsistent. A medical expert witness can be a paramedic, nurse or doctor. Expert medical witnesses play a critical role in the judicial process. Their testimony can educate judges and swing juries on complex technical subjects to win lawsuits. Whether the client is the defendant or plaintiff in a case related to medicine, an experienced expert witness is necessary. Medical expert witnesses examine material facts, prepare written reports, use visual aids and create models. Often, they break down the technical medical and scientific terminology for understanding of the key issues in a case. Their testimony may be used in wrongful death cases, personal injury cases, murder cases, pain and suffering evaluations and more. Depending on the case, a medical expert witness can belong to a wide variety of specialized fields of medicine, such as psychiatry, family medicine, oncology, plastic surgery, and cardiology. Sometimes, a case may require a medical expert witness with experience in a specific segment of the industry like a hospital administrator or hospice care professional. Courts rely on medical expert witnesses to establish the standard of care relevant to a malpractice lawsuit. Their testimony describes the standard of care relevant to the case at hand. A medical expert witness’s testimony renders an opinion as to whether there was a breach in care and also describes the current clinical state of a patient. They also render an opinion as to whether or not the medical breach as the likely cause of a patient’s injury. The expert witness plays an essential role in determining medical negligence under the US system of jurisprudence. By and large, courts rely on expert witness testimony to establish the standards of care germane to a malpractice suit. Generally, the purpose of expert witness testimony in medical malpractice is to describe standards of care relevant to a given case, identify any breaches in those standards, and if so noted, render an opinion as to whether those breaches are the most likely cause of injury.4 In addition, an expert may be needed to testify about the current clinical state of a patient to assist the process of determining damages. It’s important to note that medical expert witnesses are given latitude. If you need a medical expert witness for your case, turn to Dr. Edward Mallory. 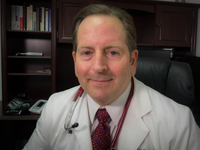 He is a board-certified emergency physician and medical expert witness with over 25 years of experience. He has reviewed many charts for both defendant and plaintiff attorneys as a medical expert witness with positive results.